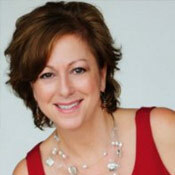 With marketing, public relations, management and entrepreneurial experience spanning nearly 25 years, Inline Marketing Partners' founder Lori Siragusa has a reputation as a hands on, strategic-minded marketing professional. She continues to work closely with Inline clients developing their initial strategic recommendations as well as their ongoing communications programs. Siragusa's first venture was Inline Technology Marketing, a successful, high-tech marketing communications firm which she founded in 1995. The agency's clients ran the gamut from global organizations such as Citigroup and Fiserv, many entrepreneurial firms including Phoenix International, EnableSoft and Contract Management Solutions. After serving as President of Inline for more than a decade, she sold the company in early 2006 to an M&A firm, then re-launched Inline Technology Marketing as Inline Marketing Partners, structuring the business to leverage her vast network of partners so she could continue to serve the needs of technology firms and provide executive-level marketing leadership to businesses nationwide, particularly small to mid-sized companies. Earlier in her career, Siragusa served as the marketing director for a U.S. banking software developer, a marketing specialist and member of Lockheed Martin's defense proposal-writing team and as a public relations strategist with a Florida-based public relations firm. A recognized speaker and panelist, Siragusa earned a B.A. degree in Journalism from the University of Central Florida. She is a member of Women in Technology International (WITI). "The role of marketing is to help the client's sales and business development team attract more opportunities into their pipeline. It's critical not to lose sight of this. Clients don't care if their agency or marketing partner wins awards, and frankly, neither do we. It's about driving revenue. Period."